Transmedia Victoria was a special one-time only event held on 27th and 28th of January 2011 focused entirely on transmedia. 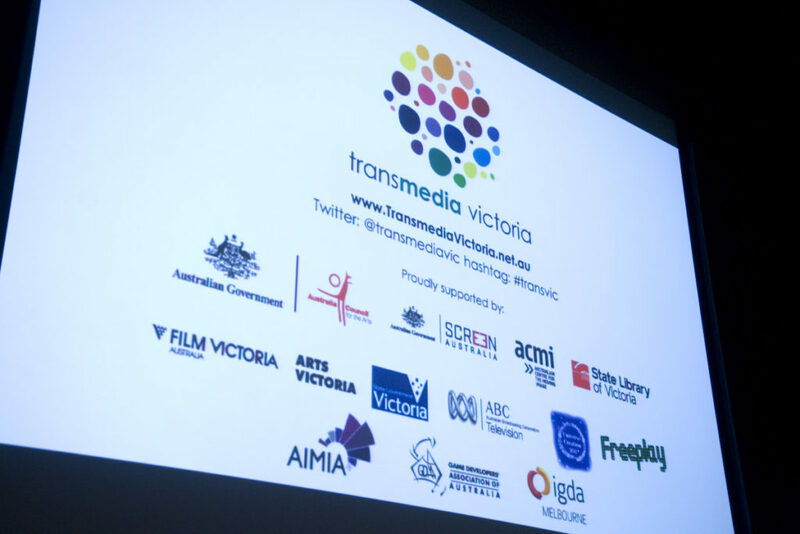 Transmedia professionals from around the world and Australia came together with directors, artistic directors, writers, designers, producers, and project managers in film, TV, theatre, gaming, music, literature and digital sectors. I curated the audience as well as the speakers by setting up an application process and (more importantly) personally inviting creatives from many artistic disciplines. I guided the speakers to pitch their talks at intermediate-level, with no financial justifications for working in transmedia. Due to the different interests of the funding bodies, I included talks about writing, design, producing, business; local and international; TV, film, theatre, and gaming. Transmedia involves the combining of multiple creative practices on a diverse range of platforms or artforms to deliver a cohesive, multi-sited, experience. For filmmakers, TV makers and game developers, it often extending the intellectual property into books, games, TV, online, and beyond. It involves the careful management of the characters, stories, settings and messages across media platforms. Ideally, transmedia projects are conceived at the beginning and involve equal collaboration between practitioners. For theatre artists it often involves extending the live experience online or at locations, with integrated pre- and post-experiences. For online practitioners it often involves the distribution of a narrative across multiple websites, with live events and participation opportunities. For novelists it often involves the enhancement of a book experience with online experiences, video and interaction opportunities. In short, transmedia isn’t about traditional arts practitioners exploring digital technology, it is about creating experiences across both traditional and digital media.